On a weekend in which two Ugandan born strikers – Emmanuel Okwi and Meddie Kagere starred as Tanzania’s Simba whitewashed Algerian heavyweights JS Souara 3-0 in a Car Champions League tie, our own KCCA were blown away by the exact scoreline in Brazzaville by Congo’s Otoho d’Oyo. This is a massive slap in the face for our continental reps, since Vipers were held to a goalless stalemate by Tunisia’s CS Sfaxien at the St Mary’s Stadium in Kitende. 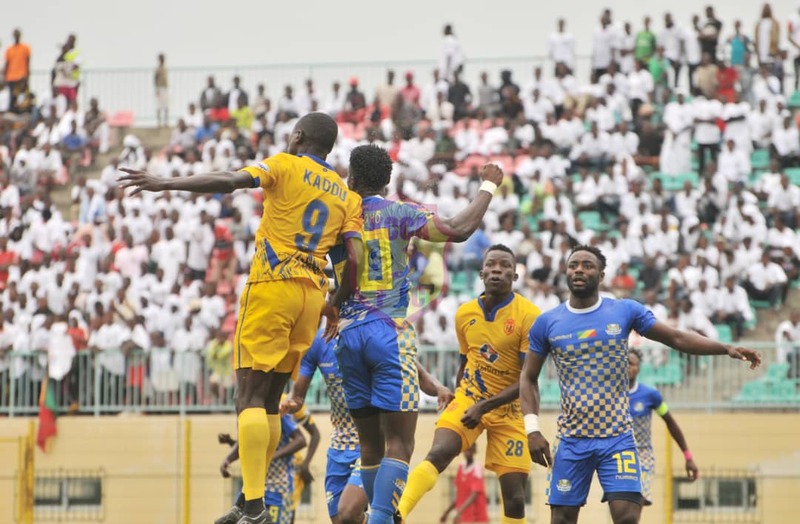 KCCA’s reverse to Congolese no namers is particularly difficult to take as the Kasasiros had been on an upward continental projectory over the last few years, graduating from Confederations Cup to Champions League group stages in successive seasons. As the lessons of the Brazzaville debacle sink in, we must accept it is time to eat humble pie. Both our reps are trapped between a rock and a hard place. For Ugandan clubs, overturning a three goal deficit is an uphill a task as trips to the Arab Maghreb. Whereas the easier advice to give Vipers FC coach Michael Ouma and his KCCA FC namesake Hillary Mike Mutebi is for them not to give up until return legs are played, the cleverer, more yielding long term approach is for them to advocate for a stricter policy over player transfers. In an ideal football scenario, there is absolutely no reason why Okwi and Kagere shouldn’t be lining up for Ugandan clubs. It’s a given Simba FC pay good money for the services of the aforementioned pair, but its money within the reach of KCCA and Vipers. Last time I followed, the Msimbazi Boys were forking out $3000 in monthly wages for strikers like Okwi and Kagere. That translates into an annual wage bill of $72,000 for the duo. This kind of money is within reach for our clubs if the players can help guarantee them proceeds from reaching continental group stages. Needless to say, KCCA would never have made heavy weather of a tie against complete upstarts like Otoho d’Oyo if they had held onto the services of Derrick Nsibambi and Mohammed Shaban. Vipers FC could have gained even more ground if they had resisted the temptation to flog off Farooq Miya and Kaliisa at the first opportunity. Ugandan clubs must endeavour to hang onto their best strikers for 3-5 seasons if they are to make serious continental impact.